Investing in Indio’s future was a clear priority for its residents during the last November 2016 election, with an overwhelming approval of 73% of Measure X, which will increase sales tax in the City of Indio by 1%. So what does this mean? 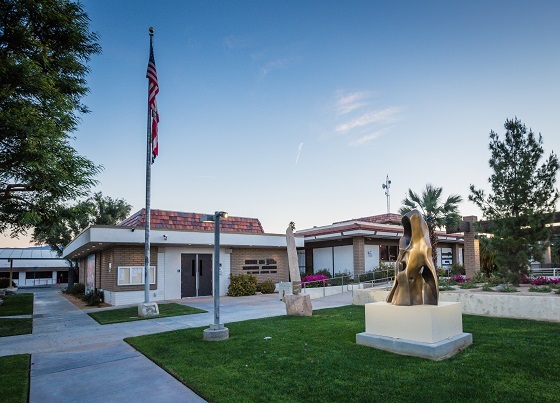 Here is a breakdown of the tax measure and how it works, along with the benefits the citizens and visitors of Indio can expect in a number of positive improvements that are on the horizon for the city. What will the sales tax increase be? On April 1, 2017, the sales tax in Indio will increase from 7.75% to 8.75%. How much sales taxes do cities get now? Cities get 1 percent of the current 7.75% sales tax. Nearly half of the total tax, a little less than 4%, goes to the state’s general fund, 0.75% is for county transportation projects and some goes to schools, health services, social services and public safety. What is sales tax charged on? California charges tax on the sale or use of “tangible personal property,” which includes a broad range of items such as furniture, clothes, books, toys, pet food, alcohol and restaurant meals. No sales tax is collected on groceries, prescription medicines or services such as doctor and veterinary visits. There is no tax on auto repair services, though auto parts are taxed. The bulk of a household’s annual spending is not subject to sales and use taxes. For most families, the biggest expenses are housing – rent or a mortgage – and health insurance and retirement expenses, which aren’t taxed. Is sales tax charged on cars? Cars are an unusual case in that sales tax is charged on them, but the amount is based on where the buyer registers the car – usually where they live – rather than where the car was purchased. So an Indio resident who buys a car in Moreno Valley would still pay the Indio sales tax rate. What does the sales tax look like in an average purchase? A $10 purchase would get 87 cents in sales tax added at the register, according to the California Board of Equalization Tax Chart. 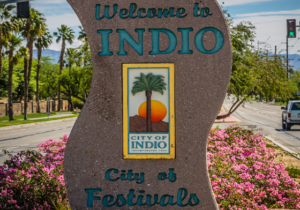 What will the additional sales tax mean for the City of Indio? Measure X is estimated to bring in an additional $8-9 million per year in tax revenue. The focus right now is making sure the money is spent in a fiscally-responsible manner. The City Council and Citizens’ Finance Advisory Commission are both studying the community’s needs to determine how and where the funding should be applied. Measure X funds are designed for one-time use. What are the priorities for the Measure X fund? Public safety is a top priority. As a city of 89,000, it is important to have the infrastructure which supports the community and its anticipated growth. Economic development will also be vital in order to increase general fund revenue to provide for emergency response officers and other public safety needs. Investing in economic development creates sustainable revenue over time from local businesses and mixed-use development, as well. What Measure X projects are currently being planned? Residents should watch for updates on a new police headquarters and library. There will also be a significant number of road projects underway in the near future. Indio’s public works director has put a pavement plan in place that specifically looks at some of the most heavily-traveled roads in need of maintenance, as well those in residential neighborhoods. The pubilc is invited to any of our council meetings to share your thoughts about priorites for the city ot consider. Or contact your councilmembers. For questions, please contact 760-541-4444.